Uncover insights about football's biggest game of the year in the age of TV and extravagant halftime shows in DataCamp's newest Project. 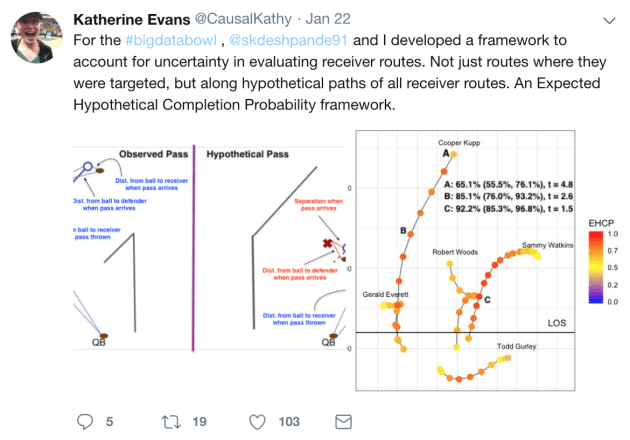 As the NFL captures real-time data for every player on every play — anywhere on the field — the Big Data Bowl is the league’s next step in engaging the analytics community. Contestants will use traditional and Next Gen Stats to tackle themes that challenge them to analyze and rethink trends and player performance, and to innovate the way football is played and coached. The prize? 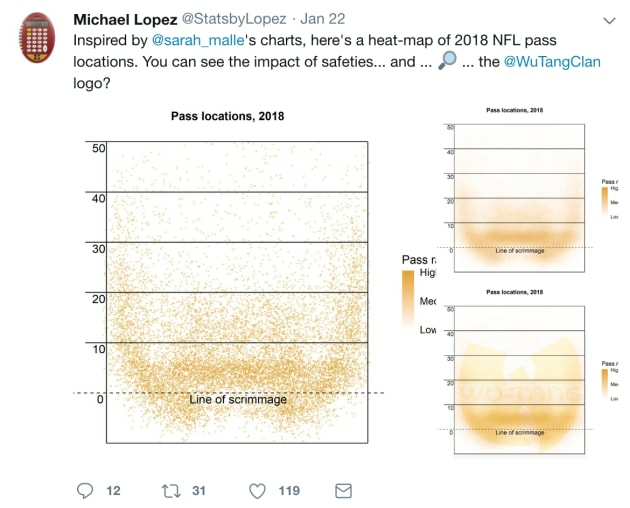 The NFL has historically been stingy with releasing open-source data, so access to the data is prize enough for some. However, eight selected finalists will also go to the NFL Combine to present their findings to members of the NFL front office, team executives, industry-leading representatives, and league sponsors. Two grand prize winners then get tickets to a 2019 NFL game and a $1,000 gift card. Pretty slick initiative! Good thing I can! I'm super excited about Hillary Green-Lerman's recently released Python Course, Introduction to Data Science in Python. She incorporates error-first coding in her teaching, which is excellent if you've ever felt or been told coding "isn't for you." Even if you've never written a line of code in your life, you'll be able to follow this Course and witness the power of Python to perform data science. And I lead DataCamp Projects. 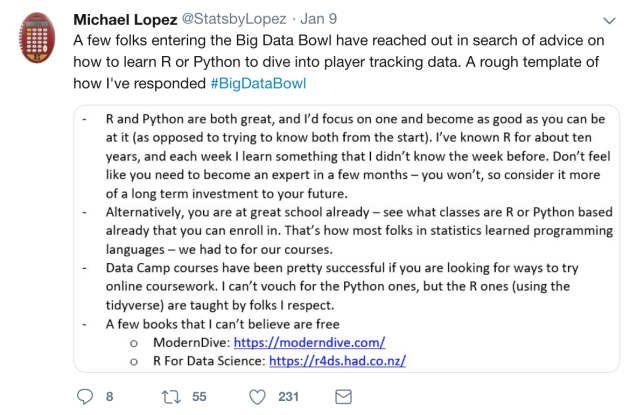 If you aren't already aware, Projects are where you apply several of the skills you learned in DataCamp Courses in a real-world, end-to-end data analysis in a Jupyter Notebook. Since I won't vouch for myself because that's weird, you'll have to check out the latest Python Project I created, TV, Halftime Shows, and the Big Game, which is a followup to Hillary's Introduction to Data Science in Python. 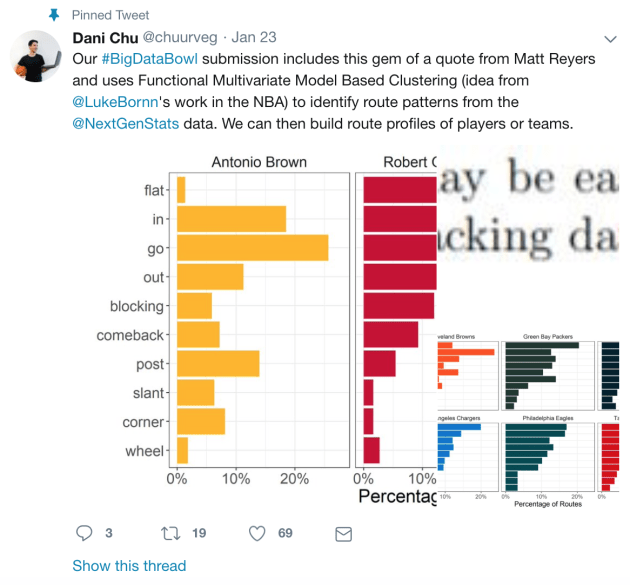 We were not able to use the #BigDataBowl data in this Project, so instead, I scraped and polished web data from Wikipedia to create a dataset with game data, television data, and halftime musician data for every Big Game ever. So take the Project and answer questions like, "What is the evolution of ad cost per viewer?" "Is Nielsen rating correlated with point differences?" "Who is the musician with the most halftime show appearances?" The answers may surprise you!